AQUI opened in mid-2017. It's closing just over a year later but chef-owner Paul Qui says there is something new on the way. Photo by Phaedra Cook. AQUI, James Beard Award-winning chef Paul Qui’s restaurant at 520 Westheimer, is closing on Dec. 23. According to a press release, it’s not supposed to be the end of Qui’s presence in Houston, though. The management team of Qui, pastry chef Jillian Bartolome and general manager Adam Mathews are going to oversee AQUI’s last few weeks of reduced-hour service, then debut a new restaurant in the spring. During the construction phase starting in January, the trio plan to host some pop-up meals. Those locations as well as the new restaurant location are all still to be determined. It’s the latest in a string of restaurant closings by the chef. TacQui, his Richardson taqueria, closed in November after being open for less than six months. 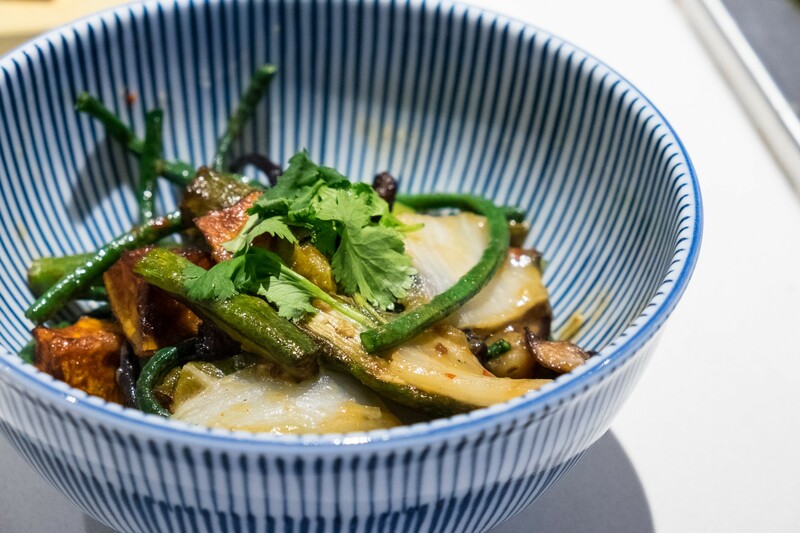 His Austin flagship, Kuheho (formerly the eponymous Qui), closed just over a year ago. The East Side King food trucks in Austin, including a newer one called Thai Kun, are still operating, as is Pao at Faena hotel in Miami Beach. AQUI’s original executive chef, Gabriel Medina, is on the right. Left is chef Alejandro Betancort. Photo by Phaedra Cook. 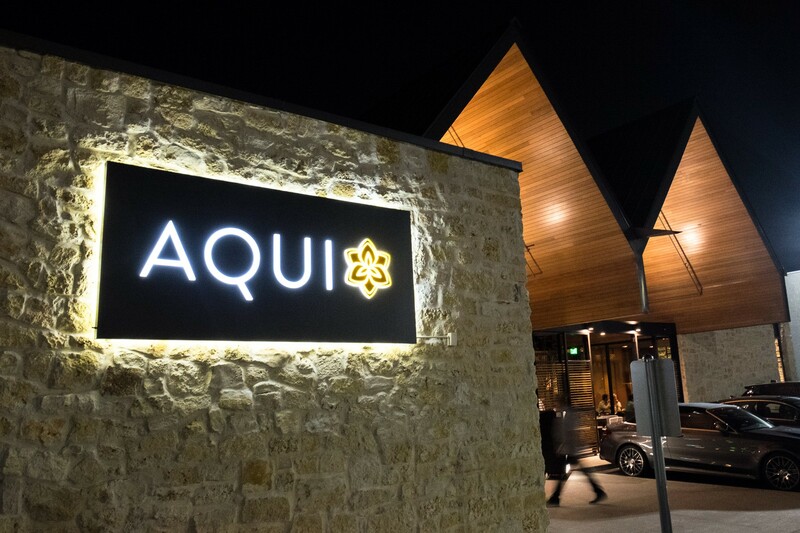 With AQUI, Qui, who’d made a name for himself on the Austin restaurant scene, extended his personal and culinary brand to the Houston area. 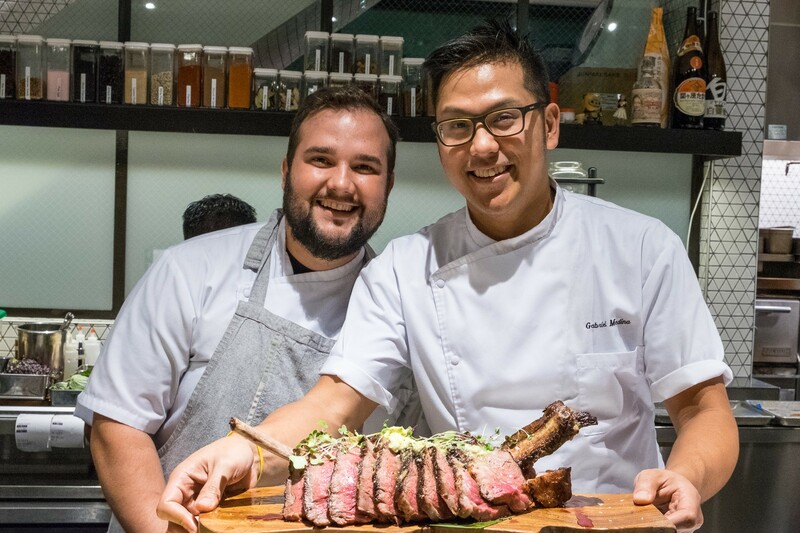 Initially, at least, his choice for executive chef, Gabriel Medina, helped the restaurant connect with Houston diners. Controversial chef-owner or no, AQUI’s dishes were undeniably appealing. Photo by Phaedra Cook. One mystery surrounding the closing is that the Montrose spot was custom built and designed to suit Qui’s needs, with a grill and charcoal oven, open kitchen and raw bar. That kind of build-out is not inexpensive, so if the restaurant is making a profit, it seems like a strange financial decision to close it — unless another entity is already set to take over the lease. In the meantime, Houston diners who want one last dinner — or even a first — should be aware of the restaurant’s truncated hours. AQUI is continuing its regular hours of Monday through Thursday from 5 to 10 p.m. and Friday through Sunday from 5 to 11 p.m. through Dec. 9. The restaurant will be closed on Monday and Tuesday, Dec. 10 and 11 and Dec. 17 and 18. Until Dec. 23, it will be open Wednesday though Sunday from 5 to 10 p.m.